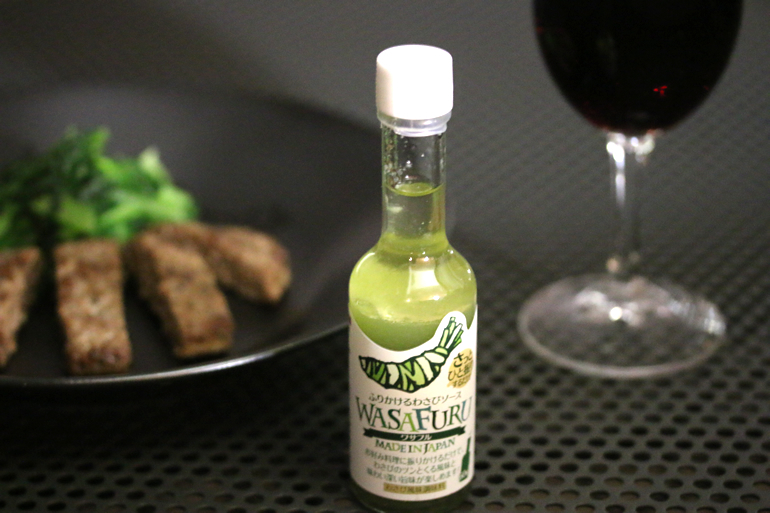 Goes perfectly with popular meat dishes and seafood! Just shake, add a few drops and enjoy the delicious taste of food with the spicy strong flavor of this well-known Japanese seasoning! The sauce you won’t be able to live without! 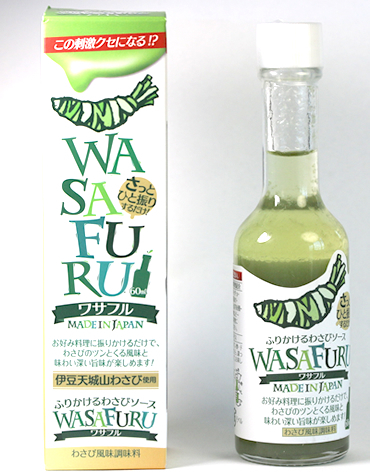 Ingredients: Vegetables and fruits (fresh wasabi stem, onion, peach); vinegar; vegetable oil; sugar; syrup; salt; spices; amino acid; vitamin B1; polysaccharide; Gardenia jasminoides dye. Storage: In a cool, dry dark place. Beef steak, pizza, Carpaccio, grilled fish, chicken grill, salads, Japanese cuisine, etc. 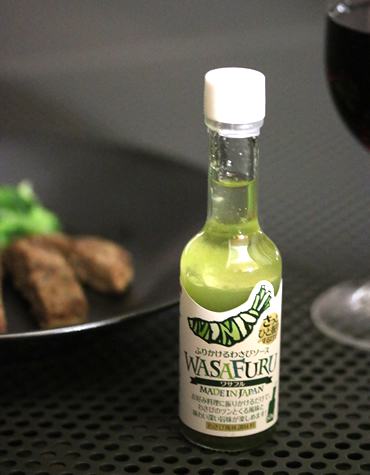 Can be added to soy sauce, Ponzu sauce, and various salad dressings for a piquant taste. Be sure to stir before each use.